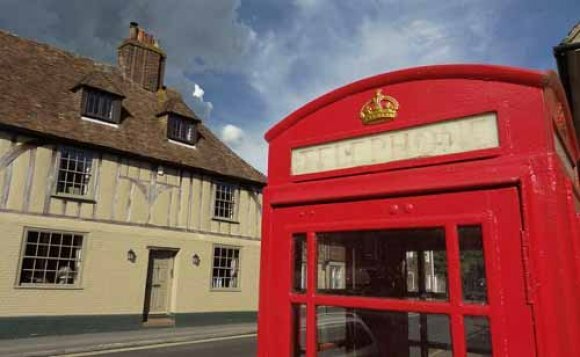 Image: How times change: the Parish Council's listed Grade II phone box in Bridge Street, restored by Wye Ground Force, is now a source of local information for visitors to Wye. Please get in touch by email, or register for e-newsletters via the form below. Alternatively, write to the Parish Council's office address, or leave a note for the Parish Clerk in the free post box in Wye News. Please supply this if you require a response. I am a resident of Wye parish. Please add my email address to the Parish Council's e-newsletter mailing list. I have read the Data Protection statement below and consent to the processing and storage of my personal data on this basis. I consent to the processing and storage of my personal data, to aid communications between the Parish Council and myself. I understand that I can unsubscribe from the e-newsletter at any time. The Parish Council is registered with the Information Commissioner under the Data Protection Act 1998 (Reg.Z3458715). Accordingly, the Parish Council will protect any personal details that you provide, and store and process your data in compliance with the Act. The Parish Council will not share your details with any third party without your prior consent, unless required to do so by law. Data is either stored locally, or on secure servers within the UK. The Parish Council needs your postcode to confirm that you are a real person, and not a robot. The Parish Council's office is normally open on Mondays, Tuesdays Wednesdays and Thursdays 10.00 - 14.00, or at other times by appointment. Outside these hours please leave your message on the answerphone. Please direct inquiries about Our Place Wye to the Parish Clerk. Please help the Parish Council to keep your organisation or business informed about local matters, by ensuring that your key contact details are up to date. You can change these or unsubscribe at any time. I represent the organisation above and have read the Data Protection statement below and give my consent to the processing and storage of my personal data on this basis. I consent to the processing and storage of my personal data, to aid communications between the Parish Council and myself above. I understand that I can unsubscribe from the e-newsletter at any time. The Parish Council is registered with the Information Commissioner under the Data Protection Act 1998 (Reg.Z3458715). Accordingly, the Parish Council will protect any personal details that you provide, and store and process your data in compliance with the Act. The Parish Council will not share your details with any third party without your prior consent, unless required to do so by law. Data is stored locally, or on secure servers in the UK. The Parish Council needs your home address and postcode to confirm that you are a real person, not a robot. XHTML 1.0 validated. WCAG compliant. Page generated in 0.1762 seconds.